Stanton’s Stardust Collection takes soft flooring to the next level with an antique spin on the most modern of looks. When it comes to classic soft fiber flooring, Nostalgia breaks the mold. Its brilliantly abstract serpentine designs are stylized to simulate an antique finish. The resulting modern look is accentuated with random tarnishing that adds to the character and dimension of the floor. 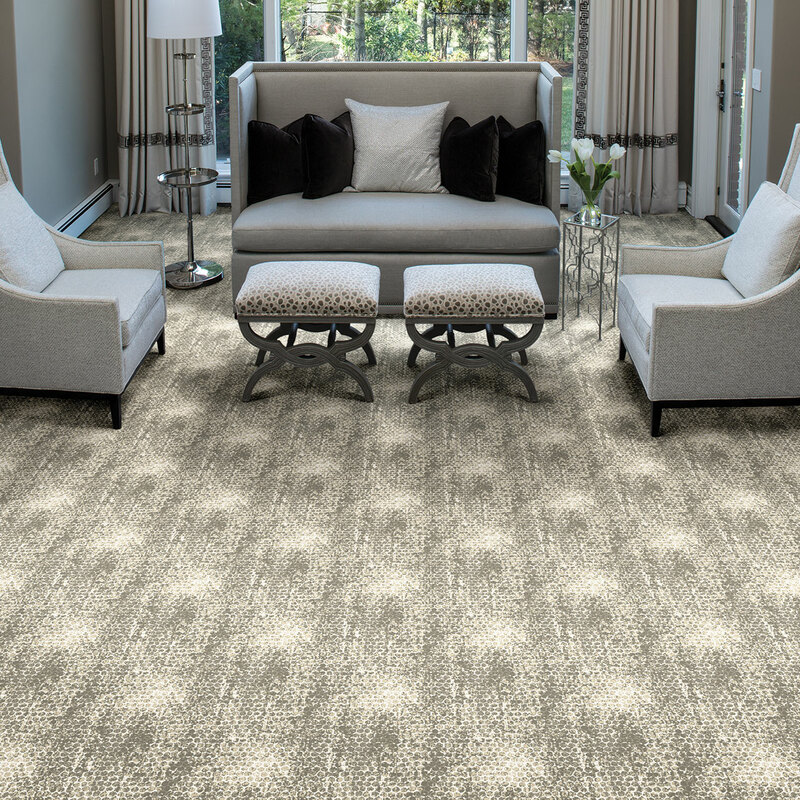 Poetic offers a one-of-a-kind, deconstructed look in a diamond trellis pattern that fades in and out of focus. For both styles the result is an eye-catching, non-uniform presentation: high luster fibers grab attention with their sheen while contrasting muted fibers create the illusion of weathered-wear. Nostalgia and Poetic are available as custom sized rugs and as wall-to-wall installations.